As prices rise and the foreign currency black market becomes volatile, Zanu PF will find it harder to resist the urge to repeat its old errors. And, in the centre of it all, will be Emmerson Mnangagwa; does he continue to stand by his "technocrat" Finance minister Mthuli Ncube, or will he give in to the pressure from his party's headquarters, where discontent is building up among an idle old guard which feels left out of decision-making. At a Press conference at Zanu PF headquarters last week, Obert Mpofu and Simon Khaya Moyo looked like two guys who had been idly twiddling their thumbs all day, but suddenly excited at a rare chance to talk. Amid the price hikes, Zanu PF imagined, somehow, that in times of economic turmoil, the nation would look to Jongwe Building for assurance and wisdom on the economy. And so a Press conference was called, where two important declarations were made; businesses had to stop price hikes, and Zanu PF knew nothing of Ncube's new measures. Ncube, it was said, had not consulted the party on this. "The so-called the new financial reforms which have caused price hikes and the response you have seen from business were done without consultations and Zanu PF will not allow that," said Mpofu, who as secretary for administration is the man that runs Zanu PF's affairs. Ncube and central bank chief John Mangudya, said SK Moyo, must come in and explain themselves before their leaders: "The minister has the full support of the party but there must be realisation that the party was supreme." Attempting to push his "new dispensation" agenda, Mnangagwa nudged a number senior party officials from government offices and sent them to Zanu PF headquarters. To make their loss of Government positions easier to bear, he threw them a fat carrot; they can keep all their minister-level perks. However, in a party with little actual money of its own — campaign funds came from outside party structures – there is no doubt that the party is unlikely to sustain the high life those officials can't live without. However, worse for them is that they now have very little say in how the economy is run. They are supposed to be full time officials, but what, frankly, does one do from 8am to 5pm working as secretary for economic affairs in the ruling party, as Chris Mushowe is supposed to do? What does Mike Bimha, the former Industry minister, do all day as a full-time secretary for indigenisation and economic empowerment at Jongwe Building? While Mnangagwa might have won himself a few brownie points by pruning his hedge of old branches, he now has to find a way to deal with the idle officials at party headquarters. Already, among themselves, they are whispering about the direction that the government's agenda is taking under Mnangagwa and his new Cabinet team. Some among them even complained quietly that since his appointment, Ncube has not even paid a courtesy call to Zanu PF headquarters. Ahead of the party conference, to be held in Gwanda in December, the murmurs will only get louder. Until Mnangagwa and Ncube come up with a short-term plan to stabilise prices, there will be much fodder for the gossips and plotters still unhappy about being left out in the cold. For now, Mnangagwa is standing by Ncube. Last Wednesday, while in Bali for meetings with lenders, Ncube sent out a statement insisting that, despite the crisis, his reforms were the pain necessary to lift the country from crisis. Just hours later, Mnangagwa put out another statement, which was, barring one paragraph, virtually word-for-word similar to the Ncube statement, except this time signed by the President. It was a small detail showing a bigger picture; Mnangagwa sending out the message to his comrades that he is standing by his man. But now that Zanu PF is telling everyone who cares to listen that the party is supreme to government, how long will it take until the party gets its way and returns to form? The last time Mpofu spoke with any authority about prices was in 2007, and it was with disastrous consequences. As Robert Mugabe's Industry minister, he was faced with sharp price hikes, as inflation ran at over 20 000%. Mugabe's bright solution was to order that prices be cut by half. Mpofu dutifully delivered the message, sending out price control agents to enforce the order. With the prices of goods cut by half, hordes of bargain hunters laid siege to shops. Retailers were forced to sell at a loss and their stores were emptied of stock. Traders that dared resist were arrested. In total, 5 000 businesspeople were arrested, including the chief executive officers of top retailers such as OK Zimbabwe, Edgars and Innscor. Now, spooked by the new transaction tax and Ncube's move to hedge US dollar balances, retailers have been raising prices, shutting shop or charging in US dollars. The price hike and shortages have cost Mnangagwa even more political capital, with comparisons being made to the 2008 crisis. Unable to find a quick solution, the temptation to ditch the pro-market façade and return to vintage Zanu PF's control economics could get stronger. Mnangagwa has previously rejected price controls. A recent Cabinet Press statement also said there would be no return to price controls. However, it was announced that "inter-ministerial committee on price stabilisation", previously disbanded, would be "re-activated and engage with the business sector in order to address the challenges at hand". Separately, Vice-President Kembo Mohadi held a Press briefing and threatened to unleash "price monitors" on retailers. While he stopped short of declaring full price controls, such threats to businesses will have set some alarm bells ringing. There have been other worrying signs. 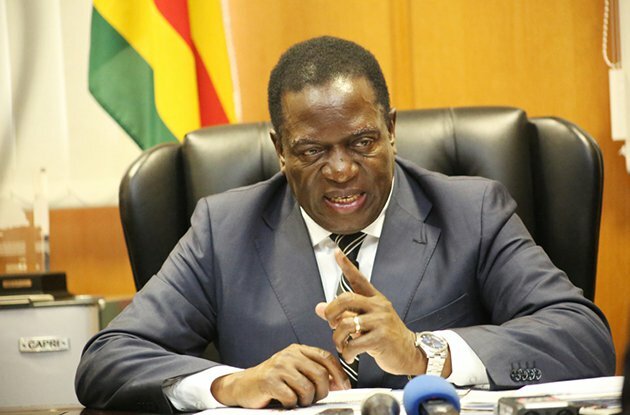 At the weekend, in a column for the Sunday Mail, Mnangagwa declared that illegal foreign currency trade had become a "security issue". Mangudya was also quoted in the press warning private companies illegally buying forex on the black market. The Reserve Bank is increasingly unable to meet the forex demands of local companies, with the forex payments backlog at over $600 million. Mining firm RioZim has taken the unusual step of threatening a lawsuit because the central bank is not meeting its pledges to provide forex. Threats from Mnangagwa and Mangudya are therefore clearly out-of-place, as they both know there wouldn't be a black market if there was enough forex to go around. Any crackdown on businesses would no doubt please the idle leaders stuck at Zanu PF headquarters with little else to do. Finally, they would have something to do. They wouldn't waste no time dusting off their cobwebs and thrusting themselves in front of microphones, to wag fingers at "unscrupulous businessmen" and "saboteurs". This is the only sort of leadership they have ever known. Mnangagwa has sold himself at home and abroad as the "steady and firm hand" that the country needs. How he balances his political base on one hand, and the needed tough economic measures on the other, all in the midst of crisis, will test those credentials.